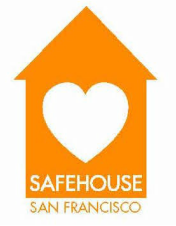 Please join us in making the dream of SafeHouse a permanent reality in our community. Your support will permanently change the lives of women who are struggling to leave prostitution for healthy and self-sufficient futures. There are many ways to be part of our safety net. Contribute time, knowledge or resources. Your offerings build upon our community. Go to http://smile.amazon.com to make SafeHouse your charity. Go to https://munchery.com/giving/sfsafehouse/ to order in, and they'll donate a portion of your purchase. Please consider a bequest to San Francisco SafeHouse in your estate planning. Contact us for more information.